Way back in the mists of time, VLC released VLC 2.00 and it was good. Some people don't like it though. Perhaps they have old machines, perhaps they don't like the new release, perhaps they just like old things. This remote is for those people. 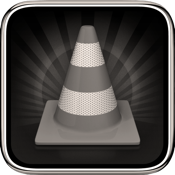 If you're an ordinary person, then please update your VLC to 2.0 and get the latest version of VLC Remote. It works better, it looks better, and it has more features. ok, you know what you want, and you have been begging for it in the forum. Xiren, Jon, this is for you.